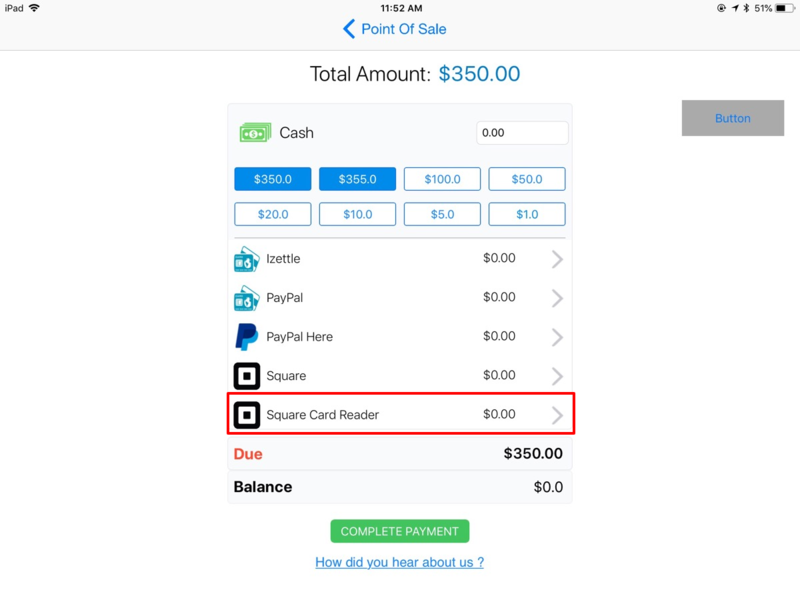 Square credit card processing allows you to process the payments through all major cards and get deposits next business day. Currently this integration is available for customers in USA only. Moreover you can also get a loan through Square Capital that allows you to buy inventory, hire employees and much more. You can learn more about Square capital here. You might be thinking that what's different in this new integration. It is glad to inform you that through this square deep integration, you will not have to leave RepairDesk window to make or accept payments. 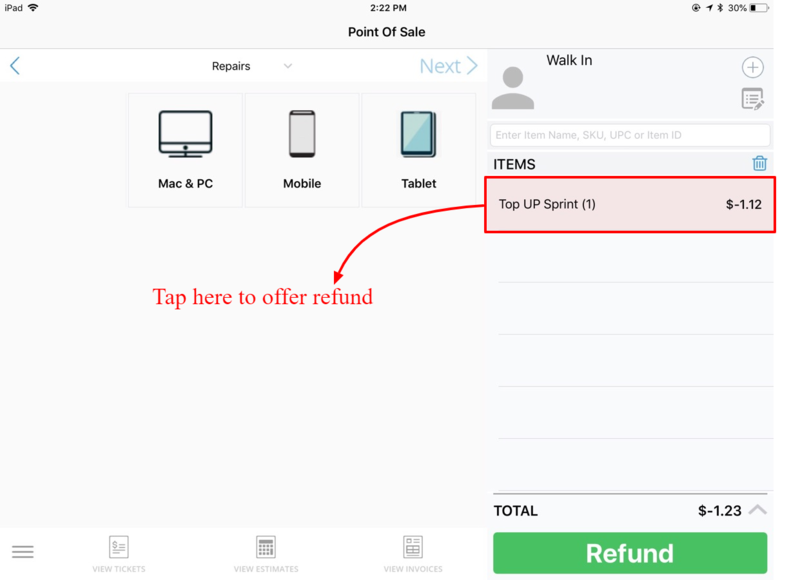 All you need to do is make a purchase and pay by staying in RepairDesk iPad POS Register app rather than paying through Square App separately. 1. Login to RepairDesk and from Integrations tab, click on Payments. 2. 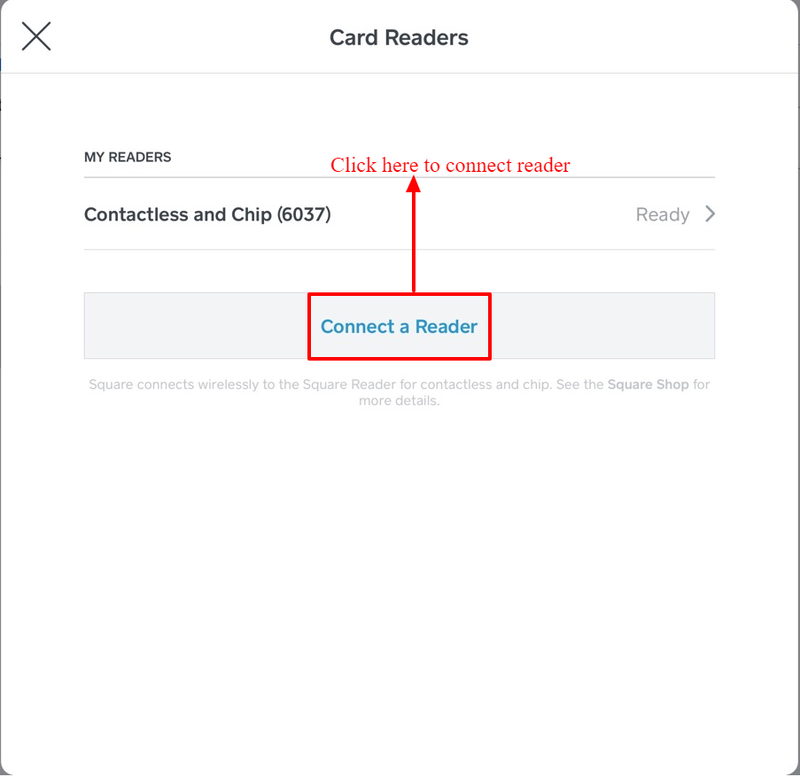 From Payments page, select Square. 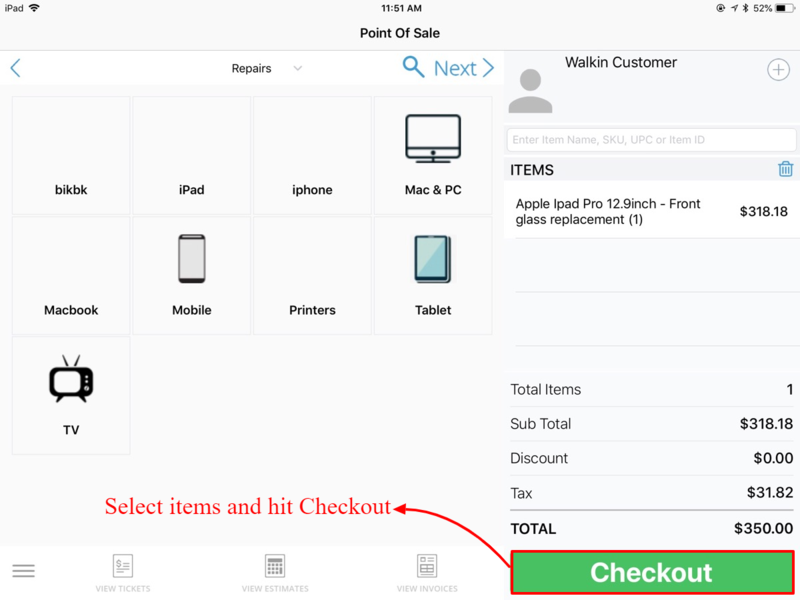 3.. Click on Enable Square button to integrate Square with your RepairDesk account. 4. You will be redirected to Sign In page for Square where you need to enter Username and Password and click on Sign In button. 5. After successfully enabling the integration, scroll down to select currency and location as shown below and hit Save button. 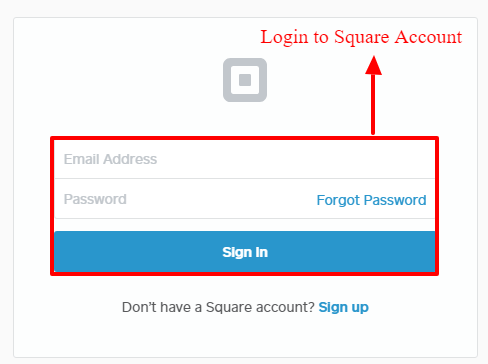 Note: Please make sure that you have setup the same location in RepairDesk account and Square account. You can accept payments in US Dollar (USD) only. Therefore currency must be set to US dollars. 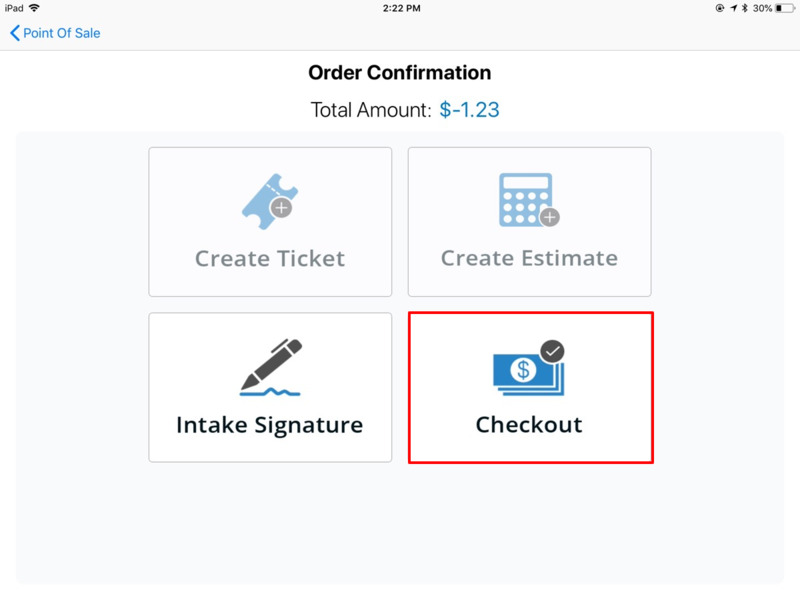 If you are a new user, you need to download the RepairDesk iPad POS Register app and login to get everything synchronized with the web based version. 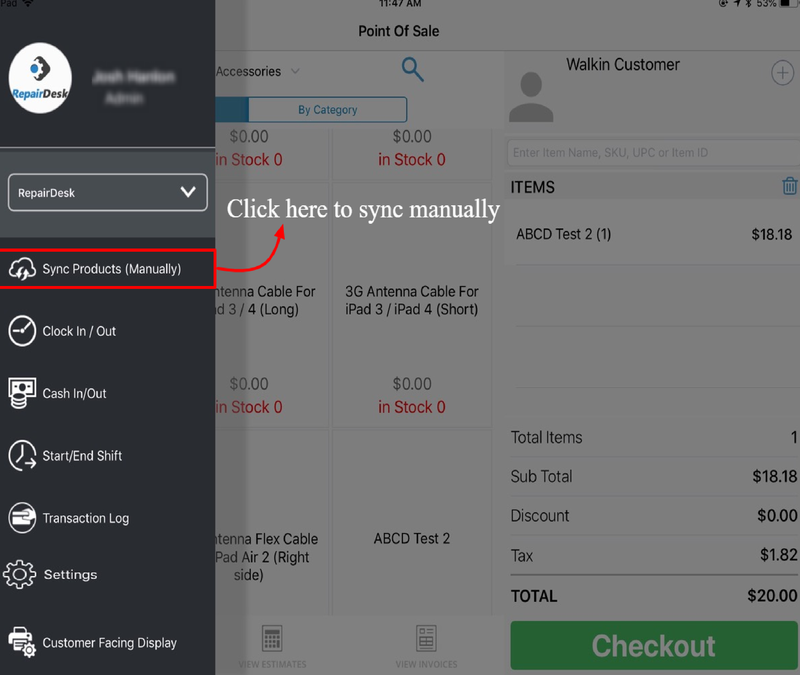 If you have already logged in the app, open the left sidebar menu by clicking on buttons on bottom left corner of screen and click on Sync Products option to manually synchronize. 2. Once synchronized successfully, select Settings from same left sidebar. 3. 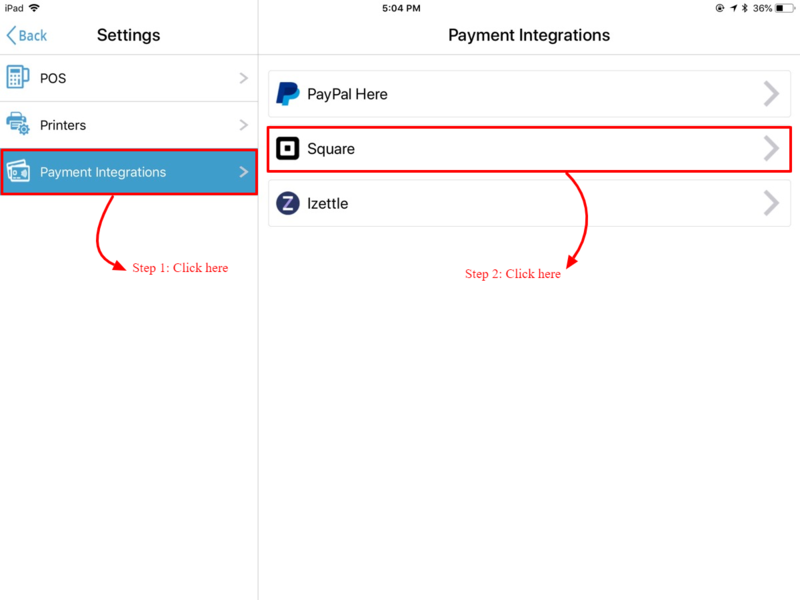 Select Square from list of available payment integrations and follow the two steps as shown below. 4. 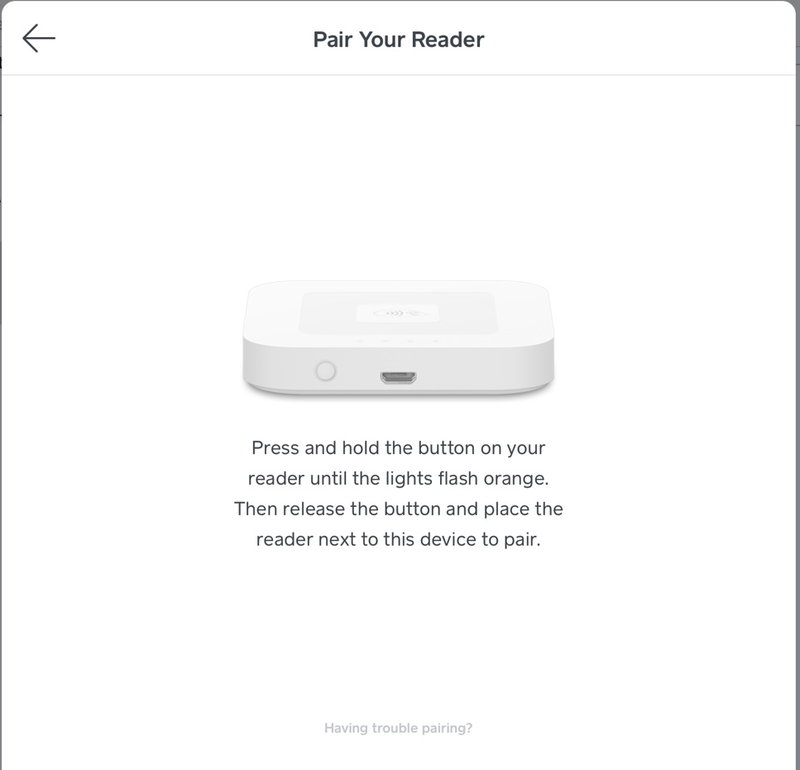 Establish connection with device by turning on the device and click on Connect a Reader button. Note: Hold the turn on button on device till it successfully establish connection with RepairDesk iPad POS register app. It will show the following screen till the connection is established successfully. 5. 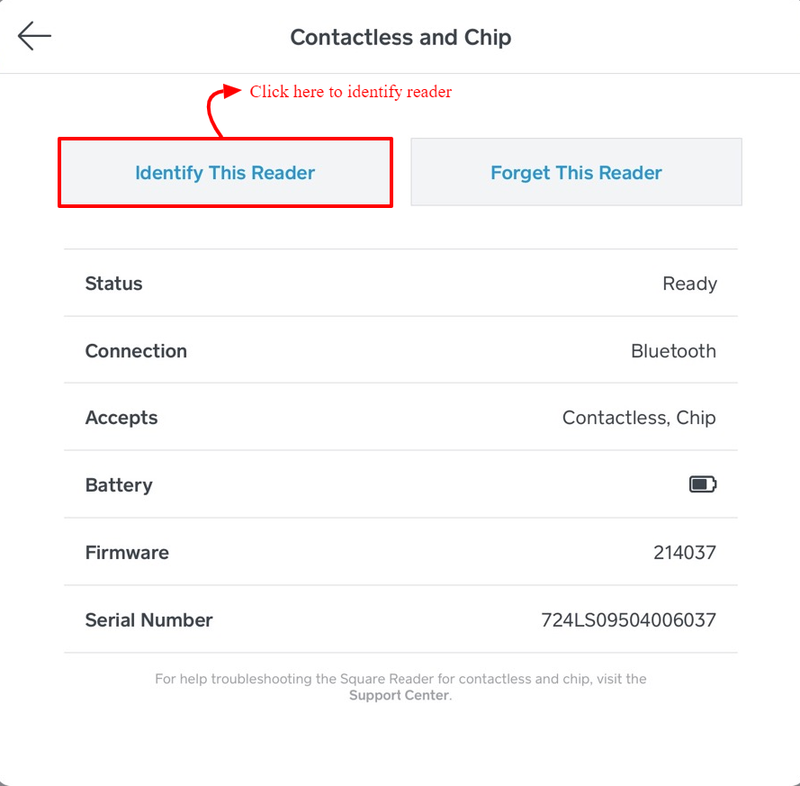 Once the connection is established, following screen will be displayed where you can select the option to Identify Reader. 6. 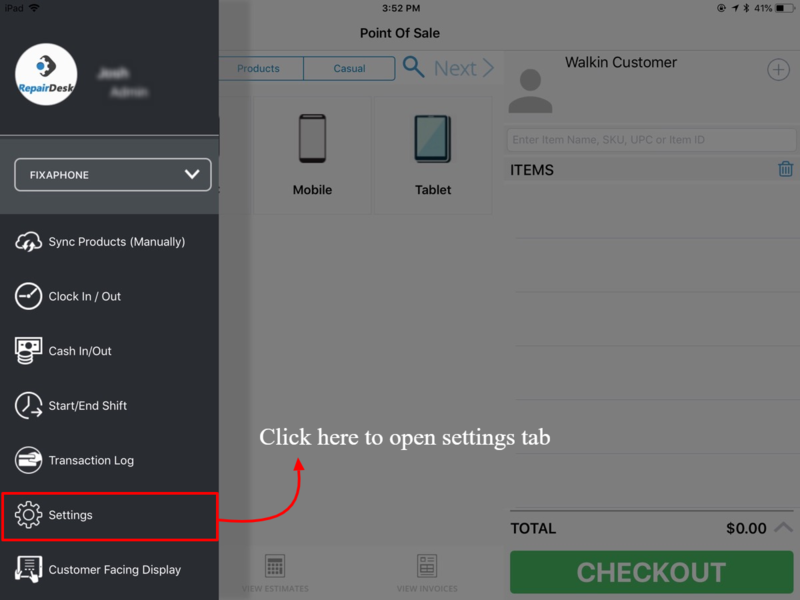 After connecting the device, go back to POS screen, select items and hit Checkout button. 7. Order confirmation page will be displayed from where you have to select checkout option again. 8. 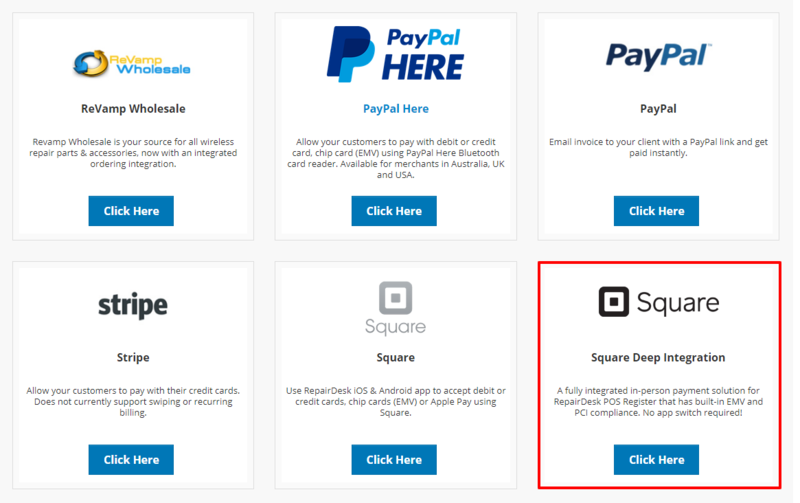 Select Square Card Reader from list of payment options. 9. Enter the amount to pay and click Confirm. 10. You will be directed to payment page as shown below. You can pay via insert, swipe or make contactless payment. Transaction will be authorized and payment process will complete. Q. 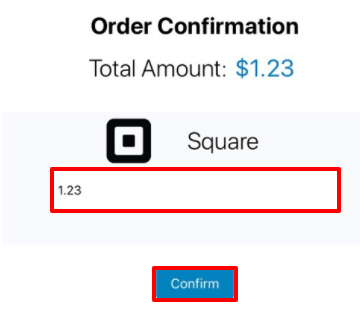 Can I refund the payment made through Square? A. 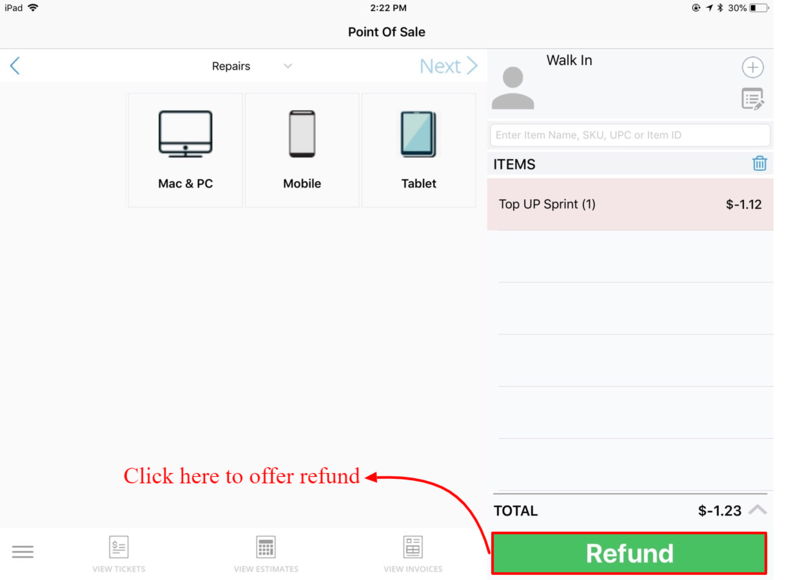 We have made this possible for you to offer full or partial refund against the invoice paid through square. Please follow the step by step guide below to know how you can achieve this. 2. Click here and invoice will open in Cart. 4. You will be directed to payment screen. 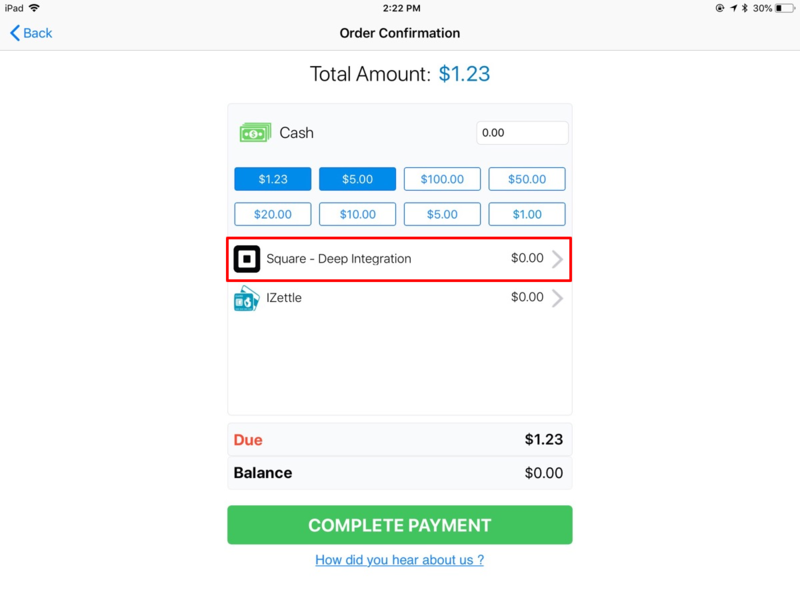 Select square deep integration as payment method and you will get the order confirmation screen displayed. 5. Enter the amount you want to refund and hit Confirm button. 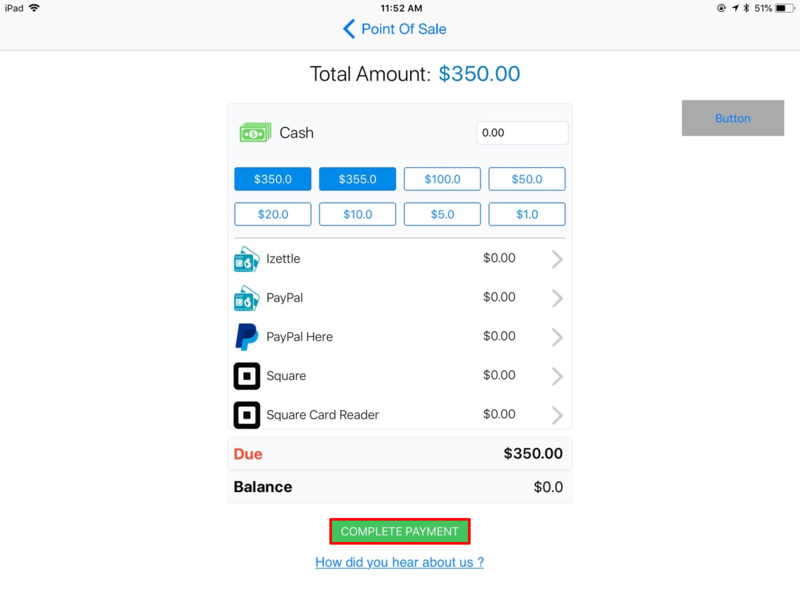 It will redirect you to screen showing that data is being fetched from Square account for refund. 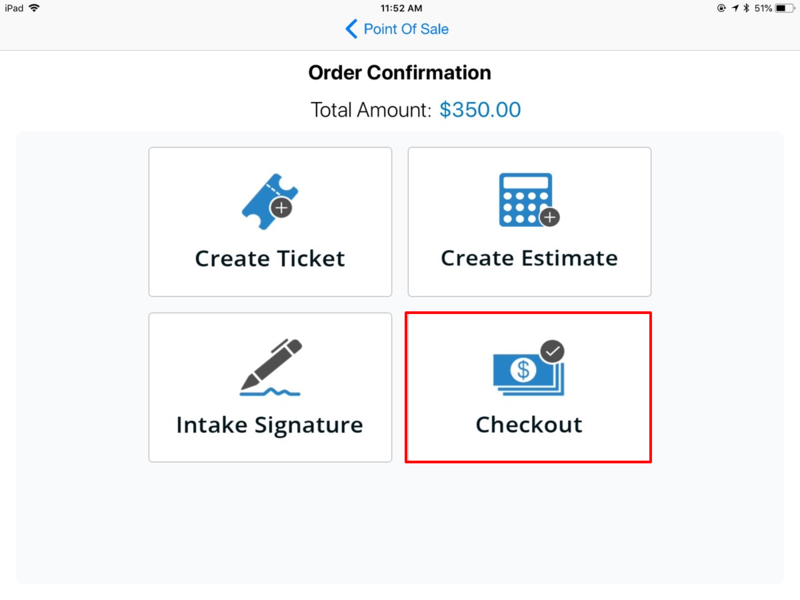 Once the process is complete, you will get the payment screen displayed with a confirmation message that payment has been refunded successfully. Note: Transaction will not be recorded in Repairdesk Account until you hit OK to log the transaction. Once you hit OK, you will get the following message displayed and back button will disappear from payment screen. Now when you check the status of that invoice from view invoice section, it will be shown as refunded. 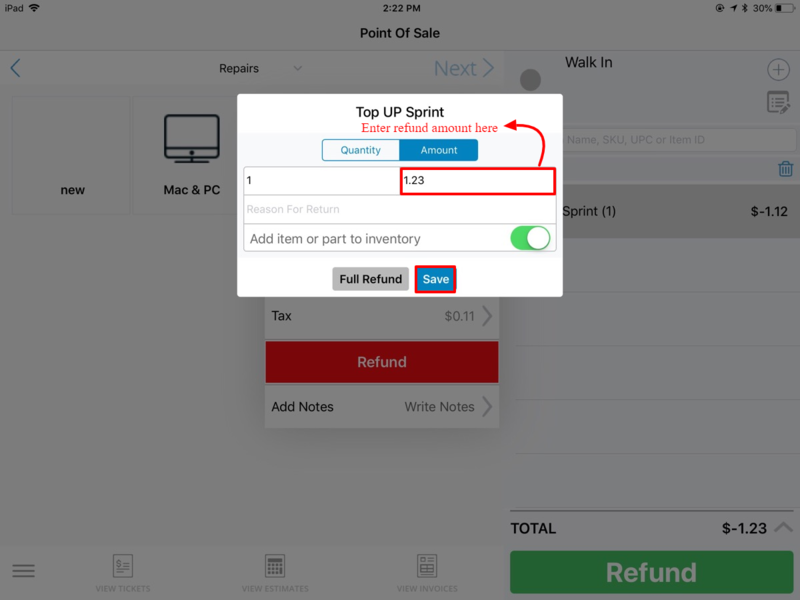 Note: To offer partial refund, you need to adjust the amount of refund when the invoice is opened in cart. 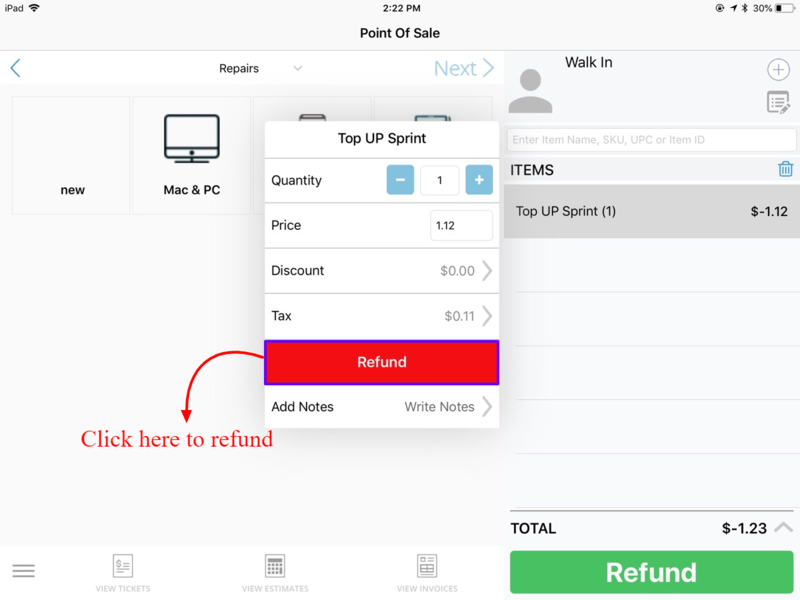 Just tap on the details and you will get a pop-up giving an option to refund.